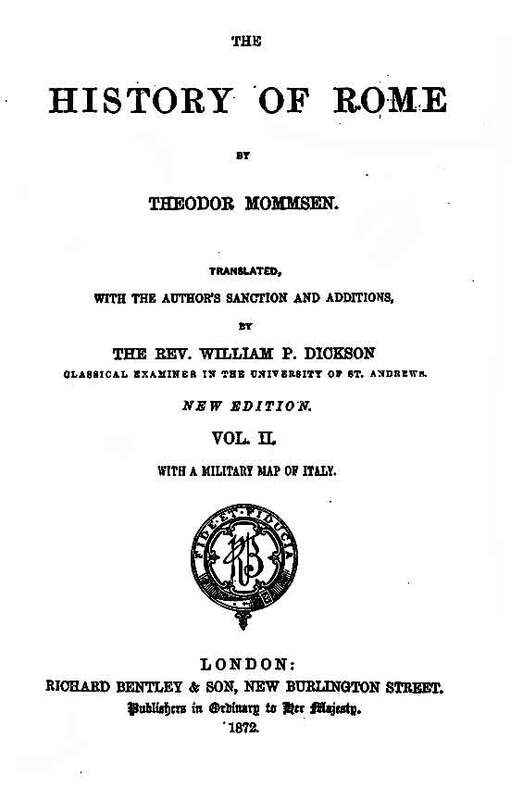 In this section we have so far scanned chapters IV, V, and VI of volume II of Mommsen's History of Rome as translated by William Dickson. These are the chapters on the Second Punic War - the Hannibalic War. Preparing this text is a huge project as the History is in four long volumes in our library. But, despite the many recent works on Roman History and the many wars included in Mommsen's volumes, his text remains a remarkable literary as well as scholarly accomplishment. Available time and interest may enable us to continue this effort. The map of Italy that is included in the Mommsen History. The scanned image from the book is not very legible here. We will create some additional maps. Return to Xenophon. Return to Ruscity. Return to Rushistory. Return to Rome.